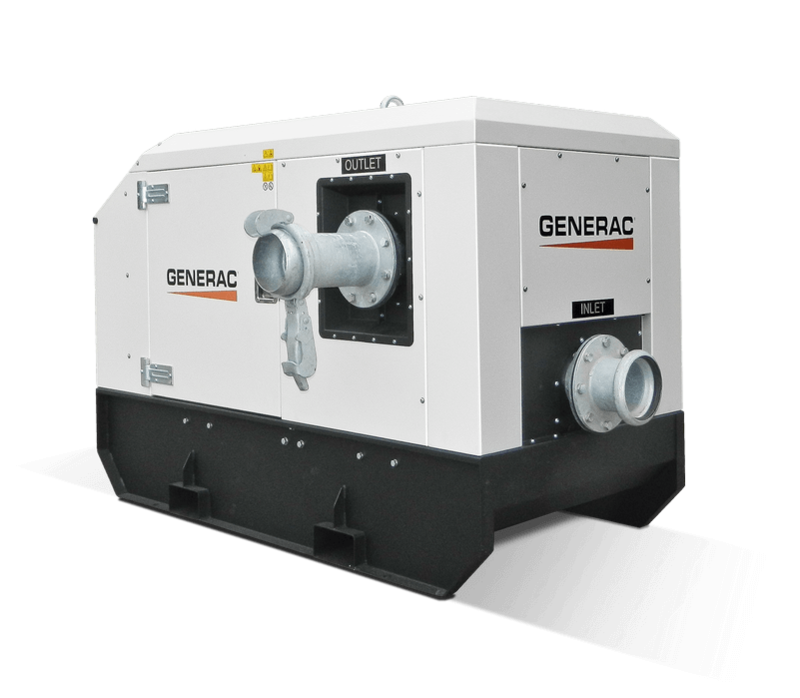 The Generac DWC-V range of engine driven vacuum assisted pumps, silenced version are purposely built with a 50m3/h high performance dry vacuum style pump that guarantees rapid self-priming with minimal operating expense. Continual performance can be attributed to the diaphragm vacuum pump’s automatic priming even when loaded with significant air intake. The DWC-V range can be used in different range of applications: construction and mine sites dewatering, well point, sewage and by-pass are just a few of the many applications in which this impressive line of vacuum assisted pumps can be used. Silenced version, with water cooled engine, available with three different inlet/outlet size (4″ and 6″).